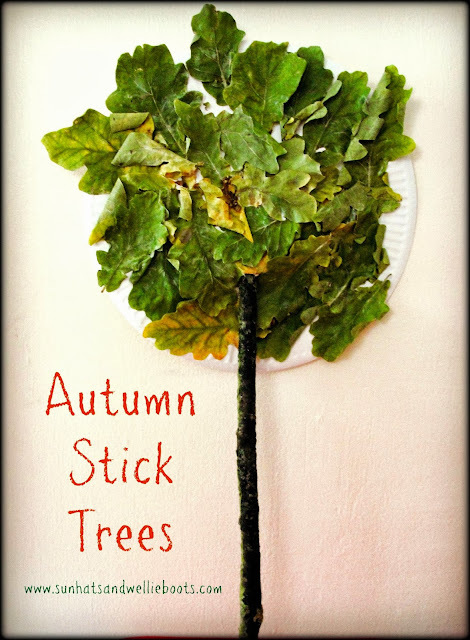 These little Autumn trees are ideal for preschoolers to create & super simple to put together. What's more they offer another opportunity to explore some of the gorgeous leaves that are around this time of year. To start creating your trees spread the glue onto the paper plate & then attach each leaf. 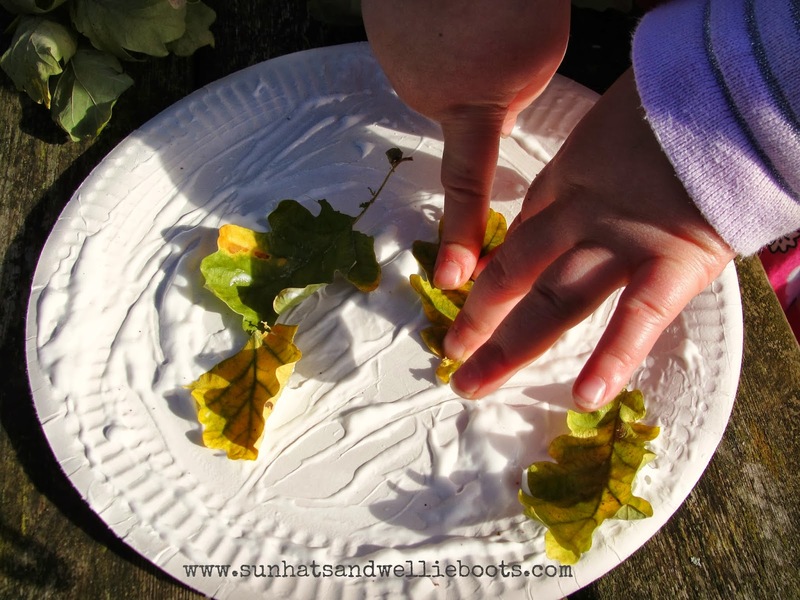 There's lots of opportunity to explore texture, colour, shape, & size, as well as thinking about which trees the leaves came from. It's also a neat way to encourage your child's fine motor skills. 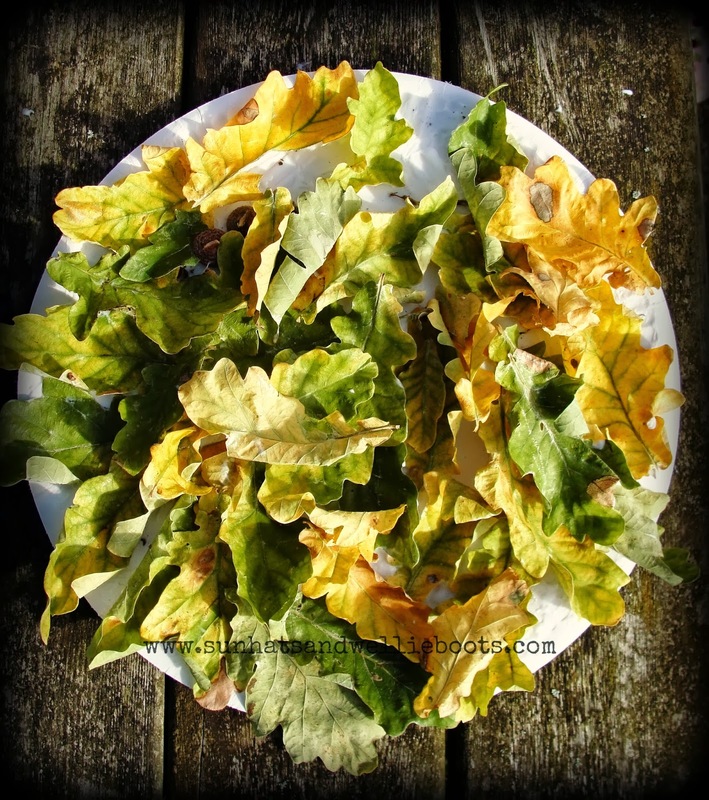 Once the chosen leaves have been added to the plate leave it to dry for a couple of hours. 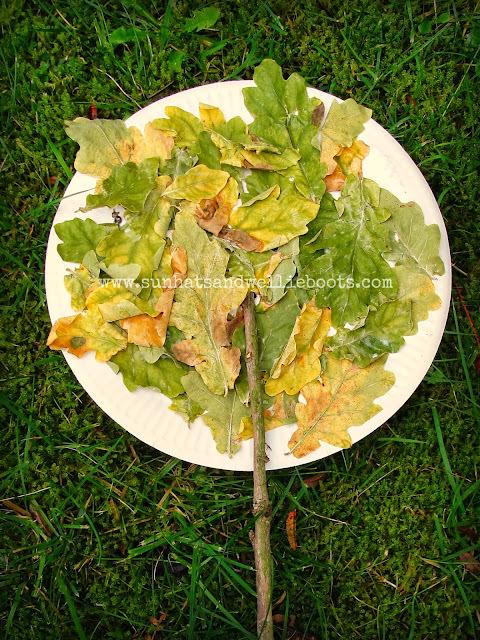 If some leaves are a little loose just add a drop more glue. To create the trunk for your tree make a small hole towards the base of the plate & push the stick through when the plate is dry. 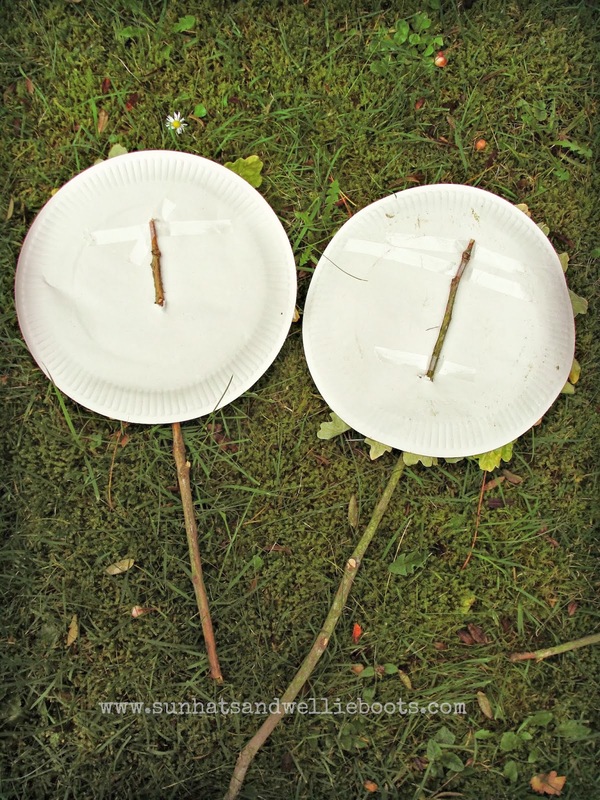 Secure the stick to the back of the plate with a little sticky tape & your trees are ready to plant! Perfect for planting a unique, & instant forest! 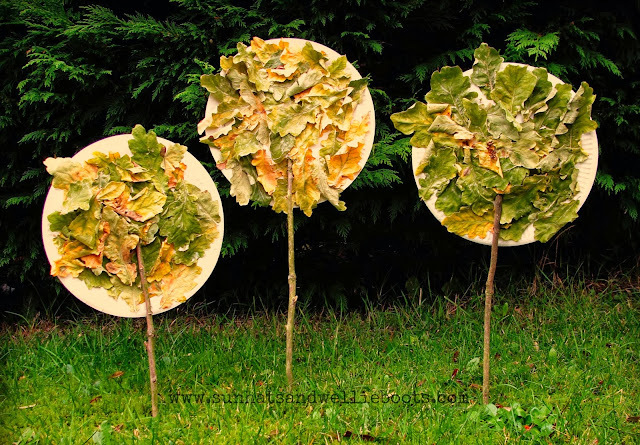 If you're using them outside the sticks will hold the trees upright when pushed into the ground, or if you're using them indoors they'll stand firm when pushed into clay or Plasticine. I think they'd make a great story prop, or background to a small world play scene.